According to the CEO of French Telecom, the second largest network of iPhones after AT&T in terms of traffic, Apple has secured a deal with carriers to use a smaller sim card in the next generation of iPhone. The card, which Apple reportedly designed itself, is even smaller than the current micro sim. Apple has been seeking to slash sim card size in an apparent effort to free up space so they can reduce the size of the phone. 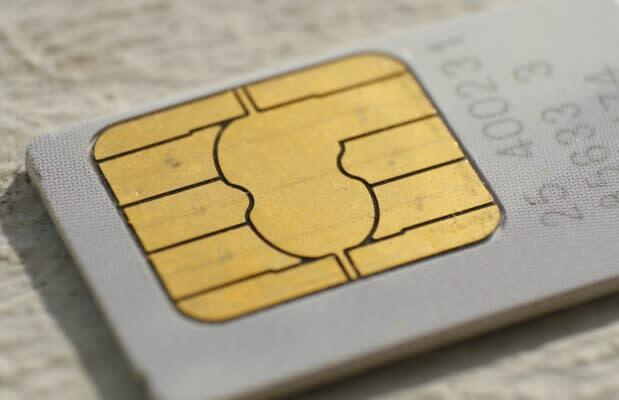 In typical Apple fashion, the company had reportedly drawn up plans to get rid of the card all together in favor of a pure digital "eSim," but the carriers urged Apple not to do that as the cards play a key roll in their efforts to control interactions with customers. According to French Telecom boss Stephane Richard, the carriers and Apple have settled on new super small sims, which we&apos;ll call nano sims. Of course, if Apple has gone to such lengths, it goes against claims that iPhone 5 will be much like the iPhone 4 in terms of form factor. "I understood that the next iPhone would be smaller and thinner and they are definitely seeking some space," Richard said. Another recent report suggested the next iPhone would feature curved glass. Indeed, nothing is certain when it comes to iPhone 5, as even its usual summer release date is largely believed to have been changed, possibly to fall. After last year&apos;s epic bar leak of the iPhone 4, Jobs and Co. are keeping everyone guessing.